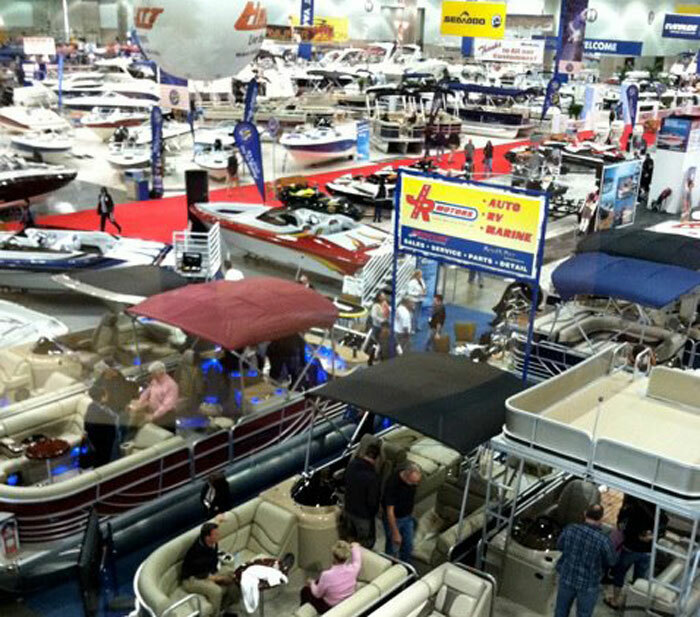 LOS ANGELES — With the inclusion of an in-water display at Marina del Rey to go along with the onshore selection at the Los Angeles Convention Center, this year’s Los Angeles Boat Show will bring a new look to the long-held event. Now in its 57th year, the show is sponsored by Progressive Insurance and will be produced for the first time by the National Marine Manufacturers Association (NMMA) — which took over operations from the previous show producer, the Southern California Marina Association (SCMA), when it merged with the local trade association last year. The addition of the in-water vessel display at Marina del Rey’s Burton Chace Park docks will give the show a whole new element for show goers to experience, showcasing scores of boats both in water and on shore, from entry-level family runabouts to larger motoryachts. In addition, the show will be presenting new marine accessories and gear, daily educational seminars and fun activities for boaters of all ages. Those looking to brush up on their boating knowledge can participate in a number of on-the-water seminars and learning events presented by Discover Boating, designed to add fun and excitement to the boat show experience, and improve boating skills in the process. Seminars are available on both sailing and powerboating, designed for beginners to seasoned skippers. The clinics and seminars offered will be hands-on sessions taught by Coast Guard-licensed captains who are certified instructors for the American Sailing Association (ASA) and Recreational Powerboating Association (RPBA). There are several skill-building clinics that provide instruction on specific sailing or powerboating skills. Clinics typically last 1 to 2 hours, but for a more in-depth instruction and more practice time, there are several 3- to 3.5-hour seminars to choose from in each category. Powerboating Clinics include: Fundamentals of Close Quarters Powerboat Handling, Advanced Close Quarters Maneuvering, Open Water Boat Handling and Seamanship, and Anchoring and Multi-Vessel Rafting Techniques. Powerboat clinics are 60 minutes, with a registration fee of $25. Sailing Clinics include: Introduction to Sailing, Coastal Cruising, Docking Under Power and Close Quarters Boat Control. Sailing clinics are two hours, with a $45 registration fee. Seminar 1: Powerboating Made Easy — Capable, Confident, Safe. In this three-hour under way workshop, participants will learn fundamental close-quarters boat control techniques, essential docking skills and crew communication, route planning and how to determine position using a nautical chart, identification and use of basic aids to navigation, how to apply the Rules of the Road while under way (including required sound signals), how to safely handle large wakes and manage building waves and seas, anchoring (including how to select a safe anchorage, deploying and retrieving the anchor correctly, how to handle and resetting a dragging anchor and freeing a fouled anchor), techniques for rafting up with other vessels and under way passenger safety. Seminar 2: Advanced Docking and Precision Boat Control — How to make your boat do exactly what you want it to do. In this three-hour hands-on seminar, participants will learn how to quickly assess challenging close quarters situations and develop effective docking and maneuvering plans, techniques for recovering and maintaining complete vessel control in gusty winds, how and when to use the “weather vane maneuver” for docking and to get out of trouble, station keeping/maintaining position in strong winds and or currents, how to dock under complete control in strong winds or currents using the “ferrying” technique, how to use springlines in docking and undocking maneuvers, shorthanded docking considerations and crew communication essentials. Seminar 1: Sailing Made Easy. Participants will learn proper methods for raising and or unfurling sails (including mainsail and jib), line handling safety (including halyards and sheets), correct use of winches and winch safety, helmsmanship and steering a compass course under sail, how to recognize correct sail shape, using telltales to trim sails efficiently, steering on different points of sail, proper communication and teamwork for tacking maneuvers, how to jibe and proper boom control, techniques for slowing and stopping the boat, how to execute a crew overboard recovery maneuver and lowering/furling sails. Seminar 2: Advanced Sailing Skills — Including Heavy Weather Tactics. Participants in this seminar will learn advanced sail management, keeping the boat under control and in balance in changing wind/sea conditions, powering/depowering in strong winds, steering strategies in big seas, sail plan management and proper sail selection, advanced sail trim/shaping, controlling draft, Center of Effort and Center of Lateral Resistance and steering with sails, balancing weather helm, proper use of sail controls (including outhaul, boom vang, jib fairlead position and placement), downwind sailing, managing vessel speed and safety in following seas using warps and drogues, when and how to properly rig and use a preventer, steering strategies, advanced docking under power, and precision boat control techniques in tight spaces. There is a registration fee of $125 for the three-hour seminars, and participants who register in advance will receive free admission to the boat show for the day. The two locations for the show are Burton Chace Park, 13650 Mindanao Way in Marina del Rey; and the Los Angeles Convention Center, 1201 S. Figueroa St in Los Angeles. Show hours for the convention center are noon-9 p.m. Feb. 7-8; 10 a.m.-9 p.m. Feb. 9; and 10 a.m.-6 p.m. Feb. 10. Show hours for Burton Chace Park are noon-5 p.m. Feb. 7-8; and 10 a.m.-5 p.m. Feb. 9-10. Complimentary round-trip shuttle transportation will be available to and from the Los Angeles Convention Center and Burton Chace Park in Marina del Rey. Admission is $12 for adults 16 years and older; free for children. To register, or for more information, visit losangelesboatshow.com.